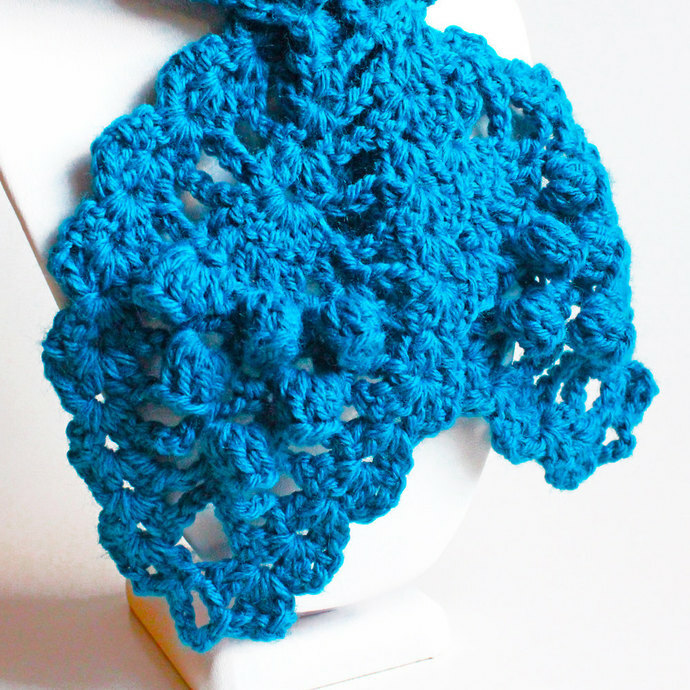 The ends of this crochet keyhole scarf feature a pretty pineapple motif that is accented with three-dimensional popcorn stitch bobbles. 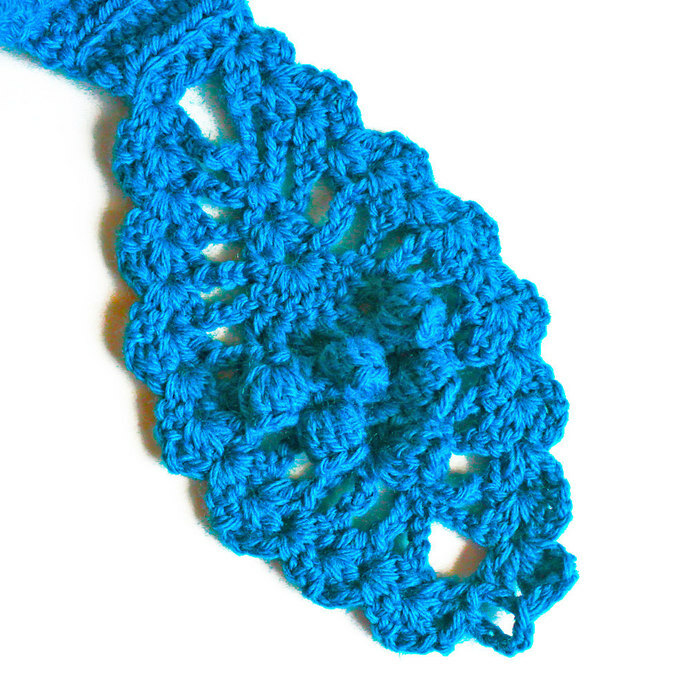 These raised popcorn stitches really stand out from the fabric -- they pop! 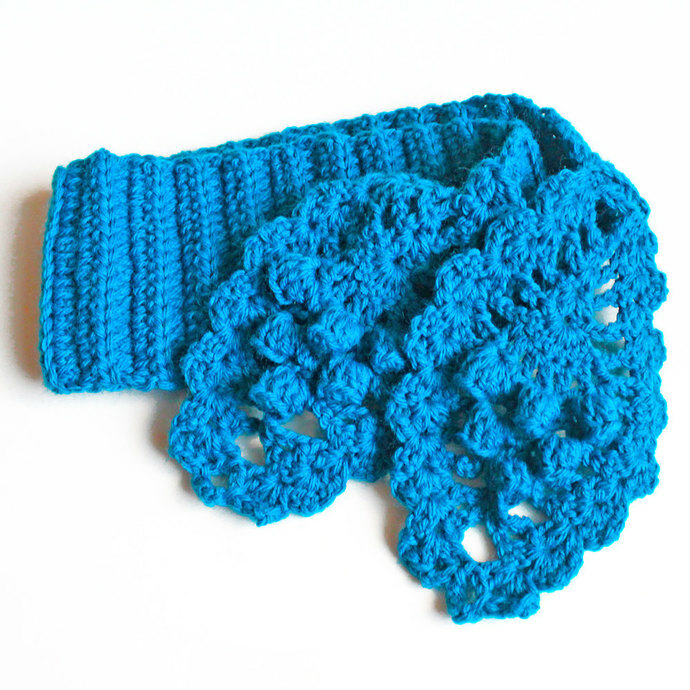 Openings at each end of this ladies criss-cross style neckwarmer allow the other end of the scarf to pull thru. The keyhole style helps the neck wrap stay put without adding extra bulk. The bright splash of color will perk up the dreariest of gray winter days. 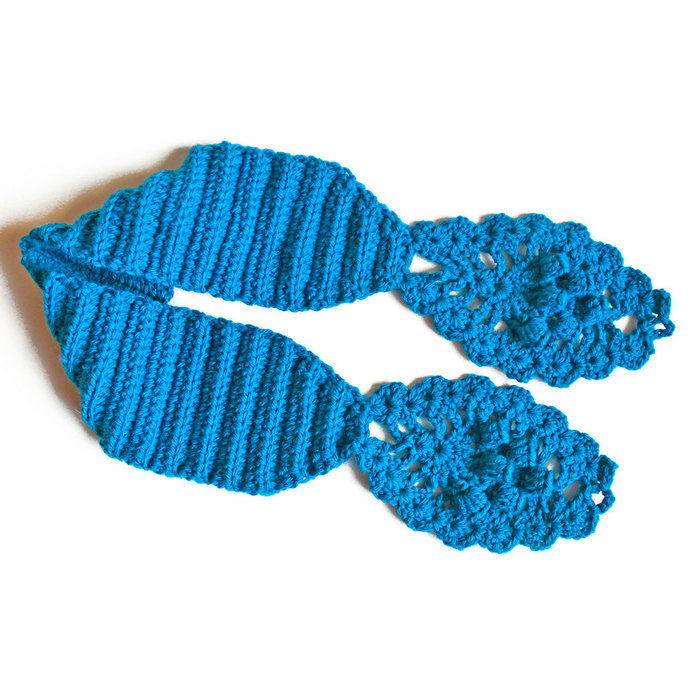 Scarf measures approximately 5" wide (12.7 cm) wide across widest part of the pineapple motif. 36" (91.44 cm) long overall. 4.50" (11.43 cm) wide at center back. 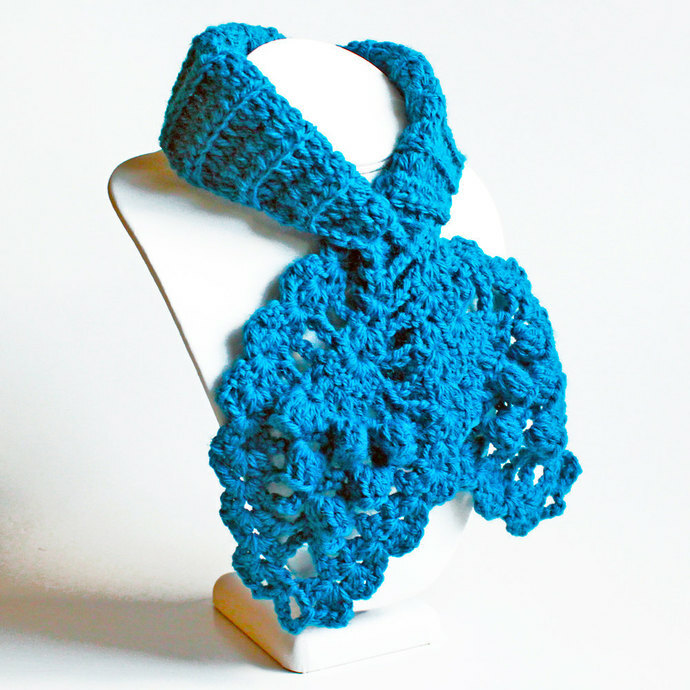 Handmade in the Texas Hill Country from imported (Canada) 100% worsted (medium) weight wool yarn, this crocheted ascot scarf will keep you warm while it adds style to your fall and winter fashion.